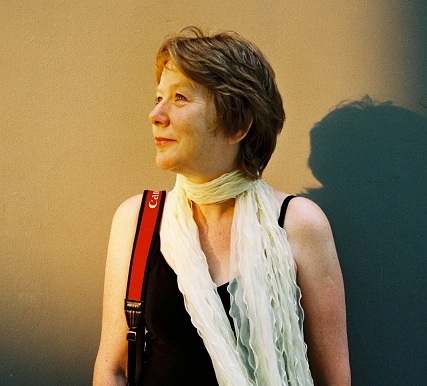 Bio: Anne Darling is a Scots-born photographer who has exhibited extensively from Paris and London to Beirut and China including the International Photojournalism Festival of Perpignan and the China Pingyao International Photography Festival. She has worked in photography and the arts for over 20 years and have an MA in Photojournalism, Travel & Social Documentary Photography from the University of Bolton in England. Anne have produced two books, one on the Female Imams of China (Nu Ahongs) and another one on a series of macro flower photographs with poems by John Hudson. Q: You have written about and also done a photo book on Muslim women in China. How did that project come about? Anne: While I was still living in the UK I came across a newspaper article about a nu ahong, the Chinese Mandarin term for a female imam. 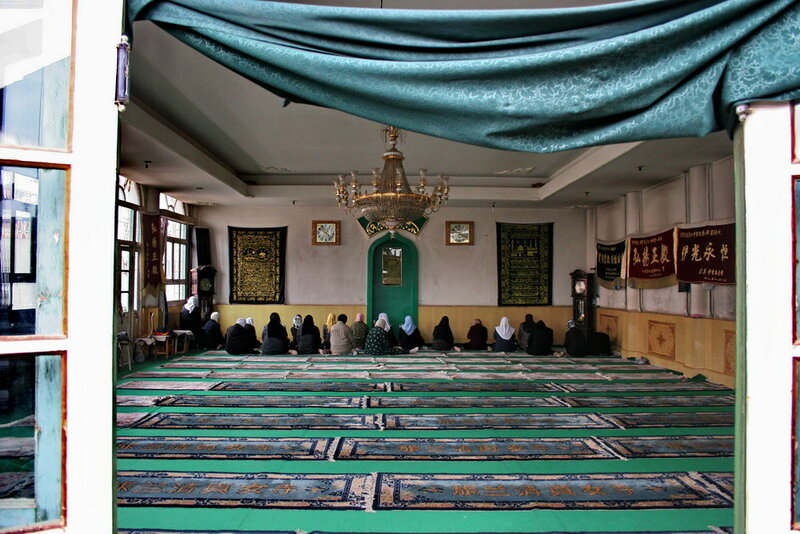 She was living and working in Ningxia in the Central Mosque of Wuzhong. Her husband was also an ahong and he ministered to the spiritual needs of the men while she ministered of the spiritual needs of the women. I was fascinated by the story and determined that when I was in China I would try to visit her and make some photographs. I was lucky enough to spend 8 days in Wuzhong. Yan and her husband Tian were delightful people and very hospitable, and I am very grateful for the time spent with Yan and her friends and congregation. No doubt being a woman helped me to get access to the all-female mosques I visited! This would not have been possible for a male photographer. I was also very lucky to meet a man who was an Islamic scholar and he gave me many contacts and introduced me to my interpreter in Lanzhou, Aisha, who was invaluable to me as my Mandarin is very limited! Q: What is the primary focus of your work i.e., not just limited to Chinese Muslims but with respect to your work in general? Anne: My work is very varied. I love documentary photography but there are fewer outlets today for documentary stories as the magazine market has changed drastically due mostly to the internet. I also love travel photography, macro photography and making photo montages. I have exhibited extensively and I am currently showing 18 macro flower photographs at Le Pictorium Gallery in Jonzac, France. If any of your readers live in France, they are very welcome to come to the private view of the 15th April – it starts at 5pm. Otherwise the exhibition is on for two months, until the end of May. Q: Nu ahong and all female mosques are a unique Chinese Muslim phenomenon, what roles do nu ahong play in the hui culture? But other mosques may just have a separate room in which women pray or simply a curtained-off area, and the mosque may or may not employ a nu ahong. So the precise role of a nu ahong varies from mosque to mosque. It is a position that offers a measure of security and high community status, and a nu ahong most often plays a very full role in the life of her local community. In addition to presiding over nu si (women’s mosques) a nu ahong’s duties include ritual guidance at marriages and funerals, preaching, resolving political and social disputes, and offering moral guidance and counseling. She also acts as educator, a role which is highly valued within Islam. There are many schools for hui woman and girls and they are often attached to mosques and run and financed by the hui people themselves. Some help women with illiteracy, others teach the Arabic and the Qu’ran, and still others give girls from disadvantaged backgrounds a basic education that enables them to teach themselves or even to go on to university. 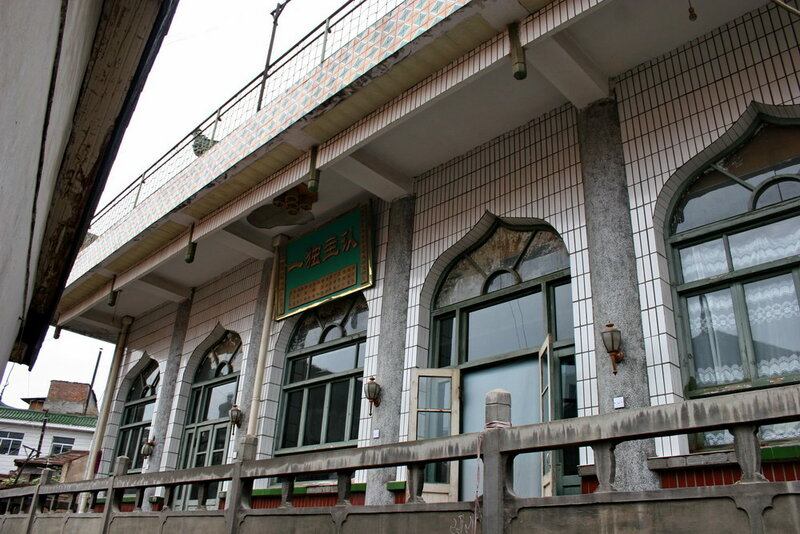 This aspect of hui society has been instrumental in keeping Islam alive in China. Education for a girl in China may be her route out of poverty. In the past, the high illiteracy rate among women in China meant that most Muslim women had to stay at home as they had no opportunities to receive education or join in a broader social life. Now young people are learning Arabic as part of their religious instruction and this increases their chances of finding a job in the private sector as a translator or interpreter in the blossoming Mideast-China trade where they can earn very good salaries. It should be noted that nu ahong do not lead prayers and that when attending the mosque they are not allowed to stand in front of the women but take their place among them. The prayers are piped through on a loud speaker from the men’s mosque nearby, even in financially self-supporting mosques. Because of this, some men will argue that the role of nu ahong within the hui community is not as powerful as that of their male counterpart, however, from what I have said above it is clear that their role within society is an extremely important one where they have the opportunity to shape society according to the ideals of Islam. Q: Can you comment on the relationship between the nu ahong and the Chinese non-Muslim community? Anne: When I was working in Ningxia, my interpreter was han Chinese and although a well-educated man, he had little first-hand knowledge of the hui people. This reflects the fact that the hui community is a little isolated from the rest of the society they live in but this may just be my limited experience. China is officially atheist so I think the majority of Chinese people are just not interested in the hui people who they see as being ‘religious’. So there is a bit of a divide but I don’t think it is in any way antagonistic. 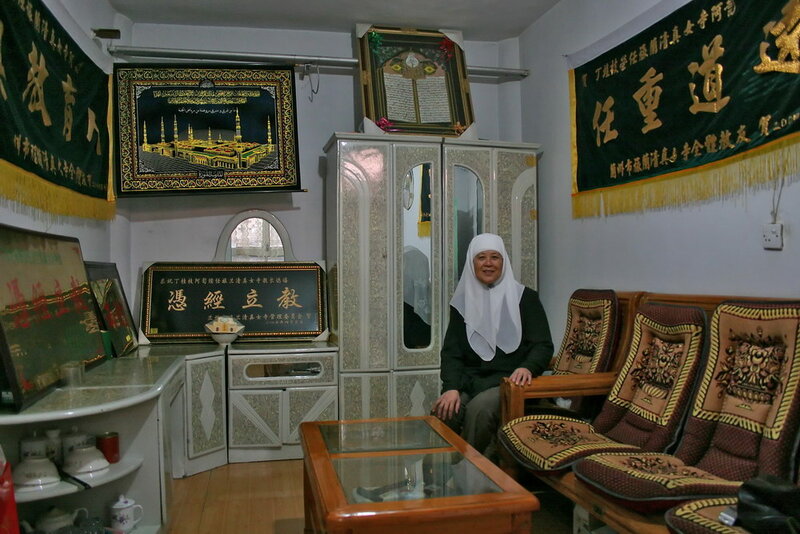 The Muslim community lives alongside the rest of the Chinese population in peaceable co-existence. For the nu ahong, I think the same thing goes. Plus they live very much for their job. Ding Gui Zhi is the nu ahong at Lu Lan Women’s Mosque and her whole life is devoted to her work and because she lives at the mosque, she doesn’t get much time to socialise with han Chinese. All the nu ahong I spoke to consider their job highly important and want to give themselves to it as fully as possible. And they are busy women! So not much time left over after work unless it’s for their family. China is a land where 56 minorities co-exist, generally very peaceably so overall I don’t think there are any problems. The problems that exist with the uighar Muslims is a totally different issue as they are seeking independence, an issue which unsettles the Chinese government. The hui people, as you know, are not descended from the uighurs and lead quite separate lives from them as well. Q: Your work on nu ahong cuts across two stereotypes regarding Muslims i.e., Muslims as being mostly Middle Eastern and Muslim women as being subservient. 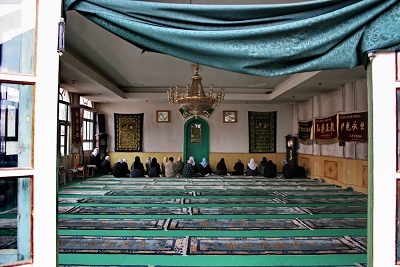 Can you comment on the depiction of Muslims and your interaction with Muslims in China? It is an interesting and potentially lengthy debate! I will say though that in China, I never met any Muslim woman who felt repressed or subservient. One nu ahong I met lives with her husband who is a successful businessman. She doesn’t have to work for financial gain but does so because she knows her job is important. Her husband doesn’t make her stay at home as we in the west might suppose, he supports her wishes and she feels free to do that which she loves which is support and guide the women in her community. Q: What can the rest of the world learn from Chinese Muslims? Anne: Photographs have the power to show us life as it is lived by other people and these same photos can help to dissolve stereotypes we hold about other cultures. So it is my hope that my photographs contribute in some small way to changing peoples’ views. How they will be changed is for them to say, not me! Image Description from Anne: The first two photos show the nu ahong, Ding Gui Zhi, in her sitting room. 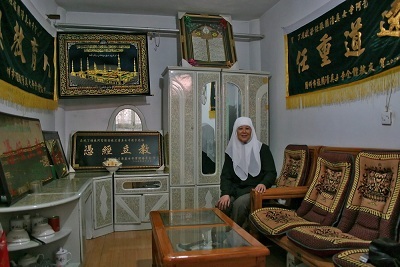 The second photo shows her surrounded by wall hangings with sayings from the Qu’ran. She only has one other room at the mosque which is her bedroom. She lives in these two rooms. The third photo shows the exterior of the prayer room which is on the first floor of the mosque. The final photo shows a glimpse into the prayer room and some of the women are in prayer. This was a quiet night as there can be over 100 women in the prayer room on a busy night such as a Friday. 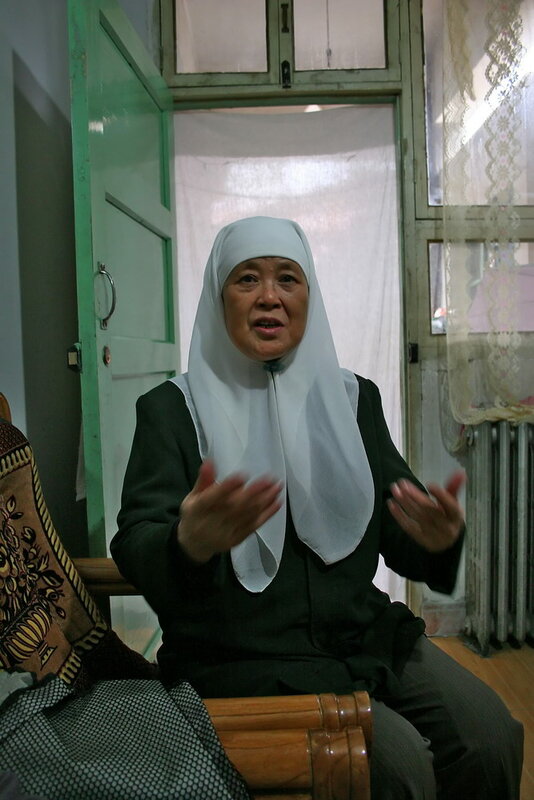 Mullayahs in Iraq also have the same roles as the nu ahong in China. They tend to have their own female mosques, own islamic events, and teach other females about Islam. salute for anne darling.great photos.they look quiet and peaceful,nu ahong community are humble and hardworker people.may godbless you all,warm regards from indonesia.